Burning Trip Records presents Peace From Other Space, an expressive new release by Paranoiac, an Argentinian psytrance producer. This is honest music from the heart, harmonious and powerful, firmly enmeshed within the tradition of psychedelic night music, but also bright and colourful, lighting up the darkness with a vital intensity. In the words of the artist, “music is life, expression, freedom, the universal language; not a fashion and not a cult with steps or rules to follow!” Mastering by BT Studio with artwork by Mara Hitters. MP3 Download | FLAC Download | WAV Download · Download count: 8,541. Buenisimo brother! congrats! y vamos a por muchos mas! Estoy eternamente agradecido con los seres que acompañan y me dan energias..
como tambien con los seres que intentan hacer duro mi camino. Espero puedan disfrutar de mi material,hecho con amor, pasion y respeto por la musica y las mentes de los oyentes. I am eternally grateful to the people who are with me, giving me energies ..
and also with and the people who try to make hard my way.. I hope that you enjoy my stuff, I made it with love, passion and respect for music and minds of listeners. Awesome!!! Totally love your sound Paranoiac! this is my kind of darkpsy, so lovely and atmospheric! I am more inspired than ever from listening to this! Thank you for making such great music. Looking forward to hearing more from you! So nice.. good tunes !! and a darn good album !! and they are happening now bro!!! BOoOOoOoOOOM!!!! Very nice! Reminds me of the good older Russian darkpsy. Thanks For All The Coments Bothers! Suppperr EPIC album…..so psychedelic and dark and not gory and cheesy ….Awesome trip man! Wow – amazing EP. Very distinctive style, heavily influenced by older Russian darkpsy, but a good deal faster without being aggressive. It has a rather mystical feel to it, deep and emotional but mainly meaningful. Very classy music. 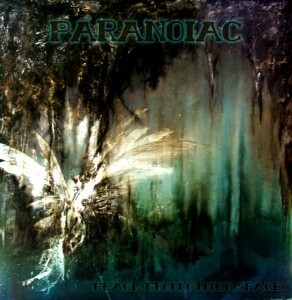 Hey Paranoiac it would be about the time for new LP. We all waiting! And once again -this is amasing-!! we will see you growing and growing ..